Newt Newman never thought he could be a hero. Growing up in the shadow of his star-athlete brother, Chris, ten-year-old Newt has a hard time even getting noticed by his own family. So when Chris is knocked into a coma during the biggest football game of the season, Newt – as usual – gets lost in the whirlwind of concern for his brother. To get his mind off the accident, Newt’s best friends, JJ and Cecil, dress him up for Halloween in some of Chris’s old clothes, and in doing so create an unexpected new identity for Newt – Captain Nobody, defender of the little guy! His new alter ego brings Newt so much confidence that, without really meaning to, he assumes the role of a hero almost instantly… solving crimes and saving lives. 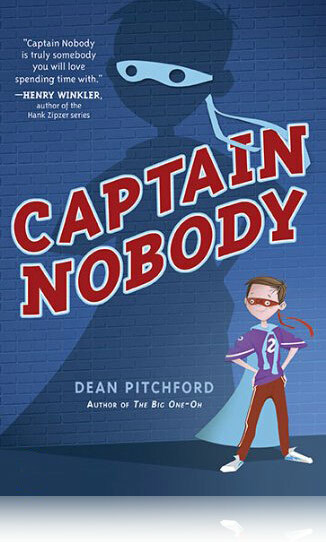 But when it comes to his brother’s recovery, will Captain Nobody come to the rescue in time?